Dwight (left), is a New Life Ministries graduate and a Pit Master for Mission Bar-B-Que. 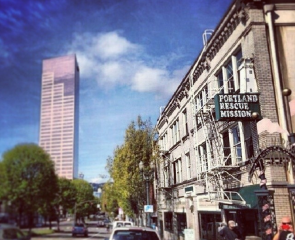 At Portland Rescue Mission, our New Life Ministries truly are designed to give hope and restore life to the men, women and children we serve. For those who have finished the 12-month program, restoration and total life transformation is the ultimate objective. In fact, well over 50 percent of our graduates are still clean, sober and productive one year after graduating our New Life Ministries program. We want more for them then just sobriety. One of the top goals of the Men’s New Life Ministry at The Harbor, specifically, according to Dallas Lange (Director of Men’s Ministry), is to train and prepare men for success in their future vocation. This is a focal point of the men’s New Life Ministry at The Harbor. Upon completion of the program, one of the biggest fears for many graduates is whether or not they will find work. With the above in mind, this means that success in recovery and spiritual formation must also include establishing confidence in one’s ability to provide for their financial needs and find meaning in the workplace. A lack of life skills and direction in life is a formula for destruction that can trigger a resident of The Harbor to go back to the life they swore they had left behind. The vocational ministry at The Harbor seeks to do this by preparing men to serve the Lord through their work. During residents’ time at The Harbor, staff work closely alongside each of the men through a variety of service opportunities that can range anywhere from janitorial, to landscaping, to outreach and service, and much more. Through those opportunities, residents will receive the tools necessary to confidently walk into the next chapter of life after they complete the vocational ministry at The Harbor. 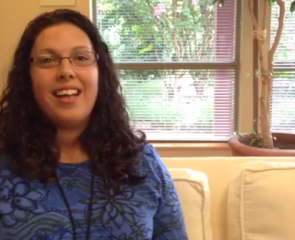 Teamwork, responsibility, integrity and servanthood are just a few of the values that drive the vocational ministry. At the heart of the vocational ministry at The Harbor are staff members like Ryan Guthrie (Life Skills Specialist) and Chris Jackson (Life Skills Manager) who supervise the men in their vocational roles. In addition to these supervisors, each ministry area also has a designated “vocational partner” — who represents a set of vocational opportunities. “Vocational partners” work together with the staff to get to know each resident, personally, and help them create a plan for where to place them and how to best develop their future career. Integrating spiritual formation, addictions recovery and life skills aren’t an easy process, but when done well, it makes an incredible difference in the experience of the New Life resident. And it’s those difference makers that help Portland Rescue Mission continue to change the lives of those we serve forever. Thank you for the continued support of what we do.